1st pressing has “Copyright Control”, “Arr. 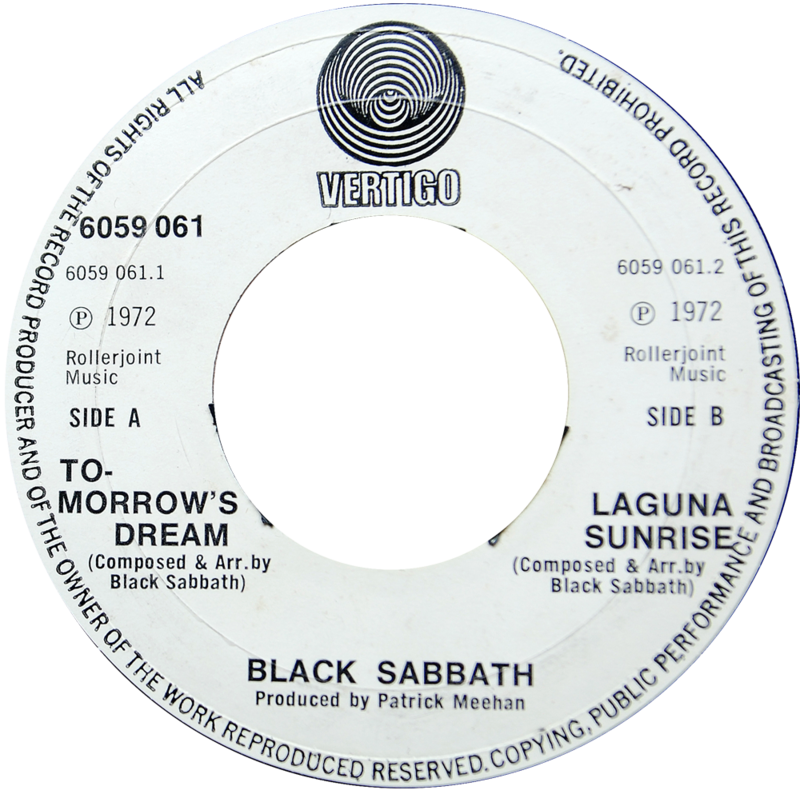 by Black Sabbath” and “Produced by Patrick Meehan & Black Sabbath” on the B side label. Strange that the composition credit has been forgotten…!